All is not well in the ruling Jubilee coalition. The National Alliance (TNA) and United Republican Party (URP) have been involved in the behind-the-scene secret wars against each other. 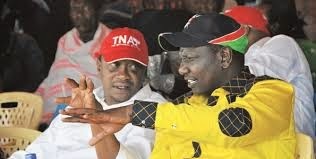 Although Party leaders President Uhuru Kenyatta (TNA) and his Deputy William (DP) Ruto (URP) seems to have a cordial relationship but their troops are involved in fierce political undercuts with each side accusing the other of political mischief. Investigations reveal that members of URP believe Bomet Governor Isaac Ruto is enjoying the support of crucial figures within TNA in a bid to check DP's influence in the vote rich Rift Valley. It has also been alleged that some URP MPs close to Ruto believe the move by the Bomet governor is a politically-sponsored supremacy battle between him and the DP which some TNA bandwagons support. Sources close to the Bomet Governor Isaac Ruto warn of a looming strike within the party. "The DP should tame his dogs from barking all over the place. He should realise this will cost him politically. You cannot separate Aden Duale from the DP. It is sickening that he was even smiling after the heated confrontation between the two," Nandi Hills MP Alfred Keter said. Recently, Majority Leader Duale launched an attack on the Bomet governor which attracted condemnation and celebrations in equal measure. 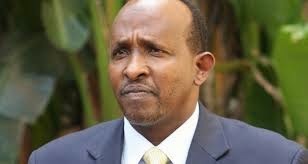 Duale is close to the DP and is always in the front line to defend his political interests. It is now emerging that many TNA MPs are uncomfortable with Duale who they accuse of championing URP's interests to the detriment of the coalition partner TNA. Indeed, TNA MPs now claim that Duale's attack on Governor Ruto was a well-planned move. TNA leaders now warn that The DP should be careful with a section of leaders who claim to be his friends.